The American "rebels" rarely had enough material such as leather so they made do with what was available. 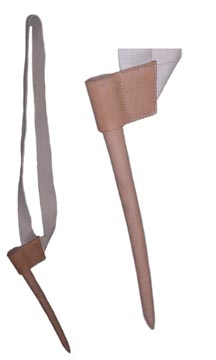 This copy of a bayonet shoulder carriage used only a little leather while the strap was made from folded and sewn linen. Revolutionary War period.